We weren’t able to go to yesterday’s meet at Southward’s, but this is a photo we took at the one in January. 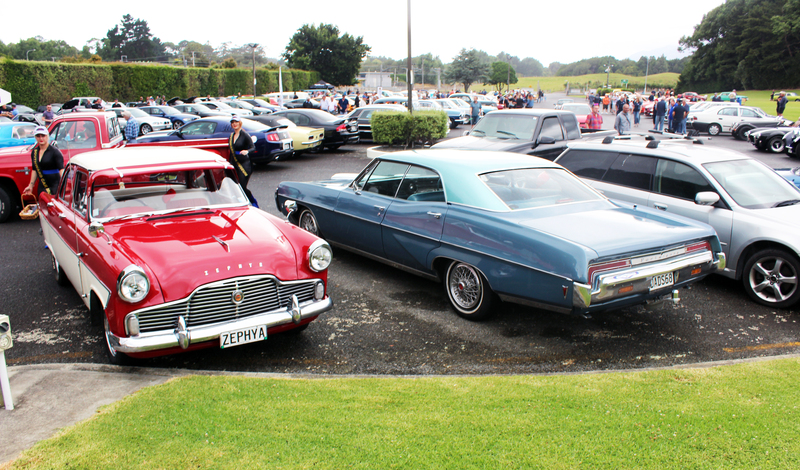 In the foreground are a 1961 Ford Zephyr and a 1968 Pontiac Parisienne. Next Sunday there is the Gear Jammers show in Rimu Road, Paraparaumu.